Showers throughout the day, some prolonged and intense, wintery above 600m. Very strong Westerly wind, particularly during the showers with heavy spindrift. Fresh windslab at higher elevations Easterly aspects. Thawing at lower levels will consolidate the snow, hopefully making it easier to negotiate. 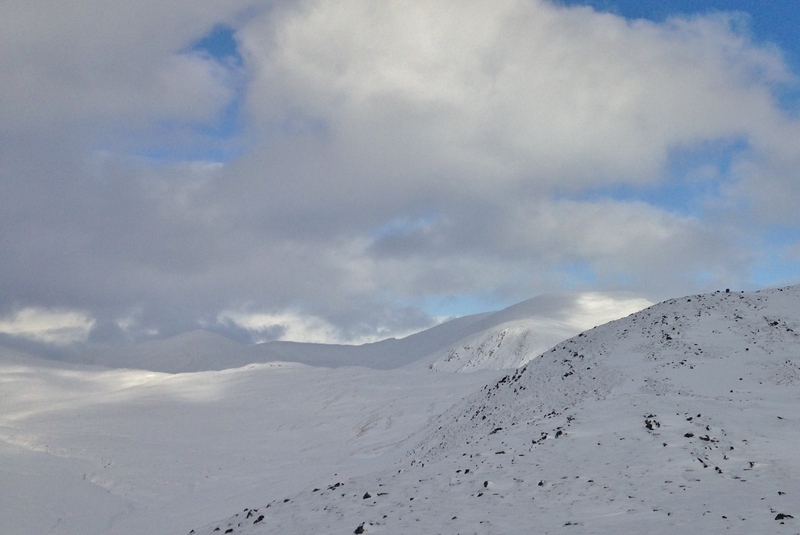 The main Fannaich mountains looking wintry between showers. 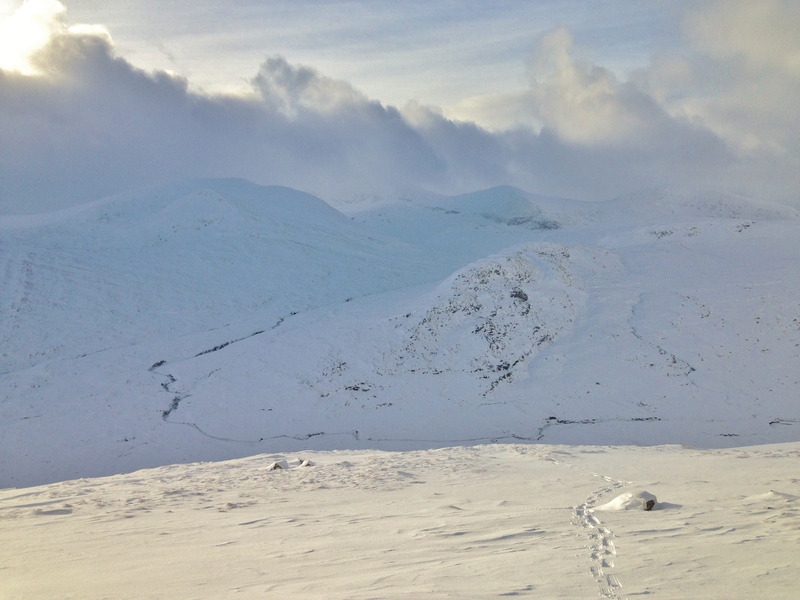 Spindrift over the summits of Beinn Liath Mhor Fannaich settling as windslab on lee slopes combined with new cornice growth. 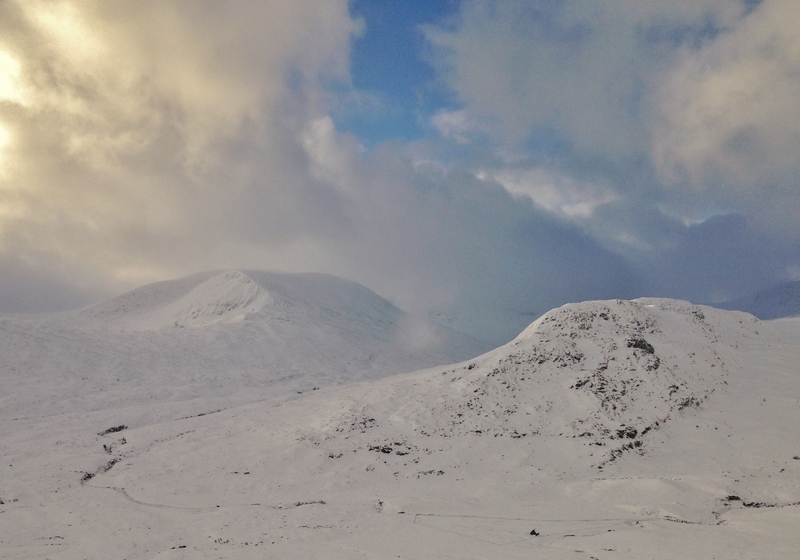 A ‘clearer’ view of the Fannaichs with cloud clearing the summits at times between the showers and even a bit of sun! Snowshoes were useful again today. Most snow on North-East to South aspects with very deep drifts in places. 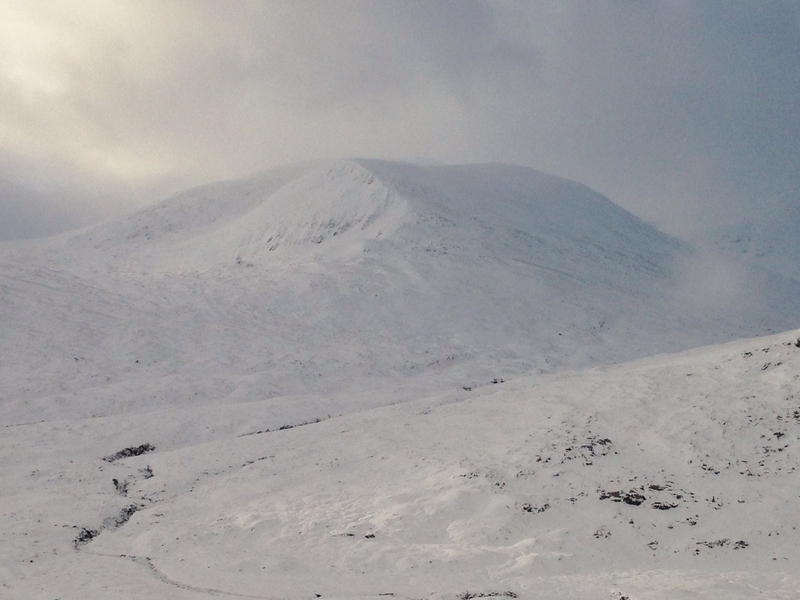 Meall Lecachain on the right – the location for todays snow profile. An occasional glimpse of Beinn Dearg in the distance. PS Don’t be fooled that it was a nice bright day with plenty blue and sun…. Most of the time I was tolerating spindrift and cloud – I only took photos when I could get a view briefly between showers!